Ford of Europe's design director, Joel Piaskowski, has been promoted to a global role as head of design for cars and crossovers, a source close to the company said. Piaskowski's European role has been taken by Ford's director of global interior design, Amko Leenarts, the source said. Piaskowski, 48, was born in Michigan. 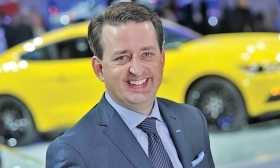 He joined Ford as head of exterior design for the Americas in 2010 after moving from Mercedes-Benz, where he had been president of the German brand's advanced design center in California. He moved in 2013 to oversee design for Ford Asia Pacific, based in Melbourne, Australia, before being promoted to the European job in 2014, when he took over from Martin Smith. Piaskowski's latest job appears to be a new role created under Ford design chief Moray Callum. Piaskowski started his career at General Motors and was involved with the Opel Corsa, Buick Lucerne and Chevrolet Colorado. Before joining Mercedes he spent six years at Hyundai, where he was responsible for the clean, aerodynamic look of the first Genesis sedan and coupe. 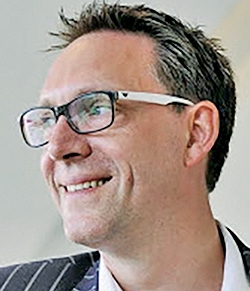 Leenarts, a native of the Netherlands, joined Ford in 2012 from French automaker PSA/Peugeot-Citroen, where he had been interior design director. Leenarts was hired as director of Ford's global interior design strategy based in Cologne, Germany, before being promoted to head of interior design in 2013, based in Dearborn. He moves back to Cologne for his new role.